While SXSW is generally for the unknown discoveries, there were of course some blast from the past sets. Nineties revival at it’s peak lately, the real nineties rolled through Austin with a live performance by Meat Puppets at Waterloo Records. Going through all their past hits as well as newer cuts from their upcoming album, Lollipop to a very sunburned audience, the band has aged well musically with experience and possibly made some new fans who hadn’t gone deeper into their discography. That said, while Meat Puppets gained fans, The Bangles certainly lost some at SXSW. After nearly an hour wait for the iconic pop band finally came out on stage at Cedar Street Courtyard. Losing half the crowd to go see TV on the Radio, The Bangles may have lost some fans’ eternal flames, however playing a generally solid set to the restless crowd. DFA Residency Extended Through October! 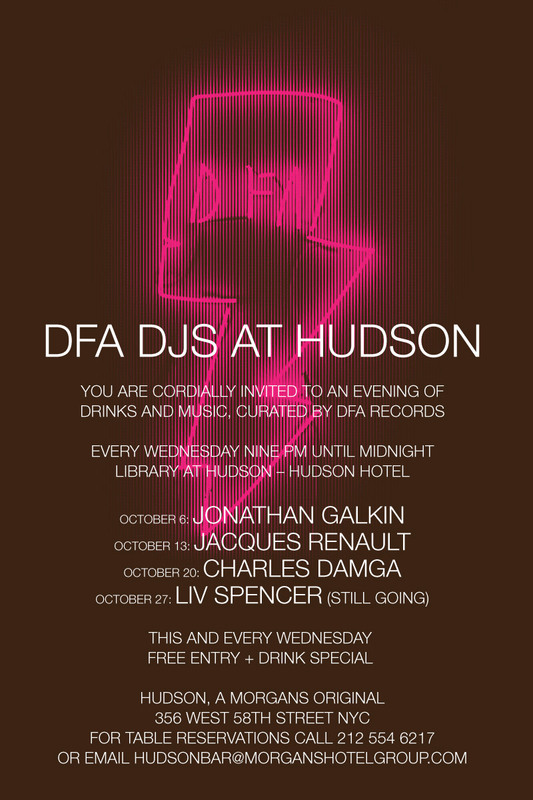 The DFA Records residency at the Hudson Hotel will be extended through the month of October due to its overwhelming success in September. Every Wednesday night from 9pm to 12am will feature a dj sets from one of the following DJss: Jonathan Galkin, Liv Spencer, Jacques Renault, and Charles Damga who will be sure to play the dance-punk sound the record label has grown to possess. This will all take place in the hotel’s library with drink specials running all night! Each show is free and open to the public. Parlovr Preview ‘Heaven/Hell’ on Stereogum! Canadian power trio Parlovr have been exploding onto the scene with their infectious indie pop since their self titled debut was released in 2008 on Dine Alone Records. Since then the boys have been working on their upcoming EP Heaven/Hell/Big/Love which will be released October 19th. The idea for the EP was based around a song “Hell,Heaven” which the trio were playing continually at live shows. Heaven/Hell/Big/Love was created as 4 or 5 pieces that weren’t directly tied together in a specific theme and were just written without any rehearsal before studio time. The result is an EP split with “Hell,Heaven” which is based on “thoughts of a childhood spent in the middle east” and “Big Love” which is about a “girlfriend who has the ‘look of a man.” Along with the two title tracks are “Where is the Sun” and “Tehching Hsieh” which both add surrealism and romantic dreaminess to the EP. You can preview “Hell,Heaven” on Stereogum HERE and be sure to catch Parlovr at Pop Montreal October 2nd at Cabaret Just Pour Rire. The band will also soon be announcing US tour dates for this fall. 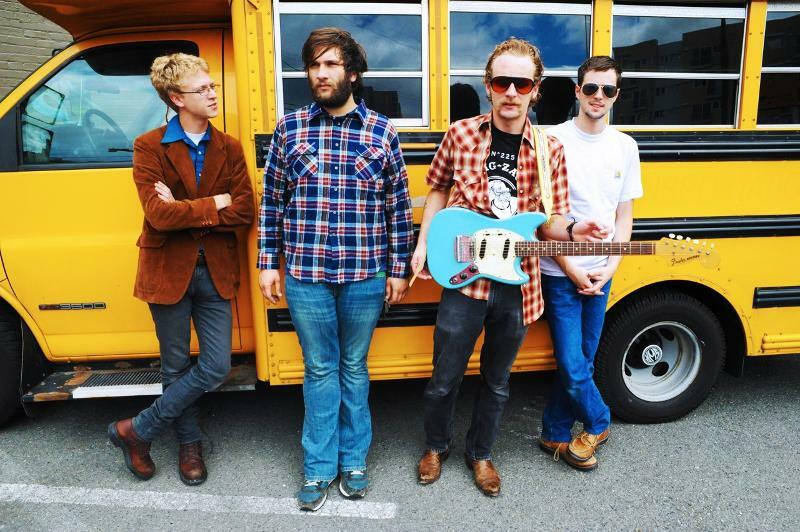 Buy Deer Tick’s Tour Bus! Bored of your four door sedan or fixie bike? Feel like you need an upgrade? You can now place bids for Deer Tick’s tour bus and roll in style like the eccentric indie folk rockers themselves. The bus nicknamed “The Flagship” for being what took the band across the country in their 2009 tour promoting Born on Flag Day will be auctioned off in order to raise funds for the Pakistan flood victims. In July, heavy monsoons in Pakistan caused mass flooding making over 21 million people injured or homeless. Frontman John McCauley states, “The situation over there is so critical, but it seems very few people are aware of it. Maybe it’s a stigma with that part of the world, I’m not sure. Either way, we feel very strongly that people should be more aware of the situation and hopefully we can help with that.” The tour bus will be up for auction on ebay for three weeks and Deer Tick will also be taking donations at the merch table for each date of their upcoming tour. 10/31 St. Louis, MO – Off Broadway ! Combining fashion and art with music is what Leelou does best, this is accurately exhibited through her new video for “Gasoline.” The video for the first single off Leelou’s forthcoming EP, Kiss. Death. Love. Come. is a spectacular piece of art filmed underwater to depict the idea portrayed in the lyrics “Take this gasoline, drown the fear in me.” Styled by BOOM Style, fashions on Leelou include those from designers House of Harlot, Bordelle, and Hannah Martin amongst others. The video for “Gasoline” is a piece that stands out proudly in the thick of aesthetically mundane videos that are released so often.